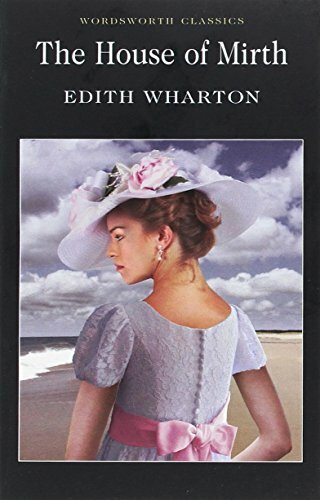 In the midst of my early reading this year, my praise for F. Scott Fitzgerald led my wife to recommend the work of Edith Wharton. The author of many American classics, Wharton's works were actually already in our library. Since it had been awhile since I held a physical book, I selected The House of Mirth due to its cheapness on Audible and availability for physical reading. Published in 1905, the book is the oldest American classic that I have gotten around to reading this year. And the verbiage of the book indicates the fact on almost every page. Despite her first novel not being published till she was in her forties, The House of Mirth has proven its value and weightiness. Its title taken from Ecclesiastes 7:4 (The heart of the wise is in the house of mourning, but the heart of fools is in the house of mirth), the book did not achieve the accolades that Age of Innocence did (a Pulitzer in 1921). Yet by happenstance, it arrived in my ears first. Based in New York, Wharton turns a critical eye on the upscale Lily Bart and her fanciful society of friends. Bart is introduced as a young woman just on the verge of needing to get serious about marriage. Naturally, Miss Bart's story is neither straightforward nor without trial. "You think we live on the rich, rather than with them: and so we do, in a sense—but it's a privilege we have to pay for! We eat their dinners, and drink their wine, and smoke their cigarettes, and use their carriages and their opera-boxes and their private cars—yes, but there's a tax to pay on every one of those luxuries. The man pays it by big tips to the servants, by playing cards beyond his means, by flowers and presents...the girl pays it by tips and cards too—oh, yes, I've had to take up bridge again—and by going to the best dress-makers, and having just the right dress for every occasion, and always keeping herself fresh and exquisite and amusing!" And so it is that a stumble by Miss Bart's at the bridge table sends her spiraling through life interacting with her friends, marriage targets, and acquaintances ever on the edge of teetering out of control. In these engagements, the dialogue of Wharton is funny, intelligent, and—with progressing regularity—cold. Her ability to paint the thought processes and mental anguish of Miss Bart is also written tremendously. Much of the book is filled with extended prose either of the descriptive nature or internal reflection. While Wharton's vernacular is dated, there is nothing to dissuade enjoyment. Individuals more inclined to narrative-driven books might find the material wearisome, but the content is worth the toil. The arc of the story and its ultimate conclusion are essentially perfect. Despite having nearly no literary qualms with Wharton, I thoroughly struggled with the audiobook recording from Emma Messenger. Wharton's lengthy prose and sophisticated dialogue often felt rushed. It regularly felt like appropriate or natural pauses were routinely missing from the reading. Similarly, Ms. Messenger's vocal range for male characters was distracting and required additional effort to identify male characters who were nearly indistinguishable. While these two things did not ruin the experience, they made the beginning of the book tedious. Once adjusted, I was able to overlook Messenger's reading style and enjoy the words from Wharton that laid behind the voice. 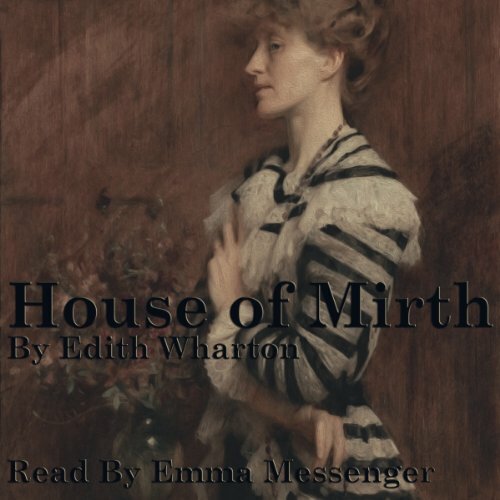 In conclusion, The House of Mirth is a fantastic book that is not best represented by Emma Messenger's audio recording. Individuals easily disinterested by long descriptive prose will probably not appreciate Wharton's work. The particular setting of rich social elites is liable to make it feel even more disconnected. But for those with patience and a taste for intellectually stimulating pages of descriptive writing, The House of Mirth is delightful.